This black stanchion post & belt hails from our Tensabarrier collection. 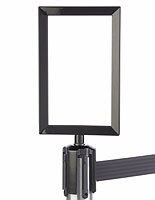 Buy this barrier w/ 2" wide rope to keep order in a hotel or airport lobby, or mall. 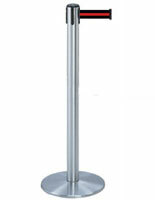 This stanchion post & belt should be spaced no more than 7' apart to be most effective. 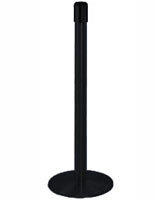 Keep visitors moving naturally to their destination with these line queuing fixtures. 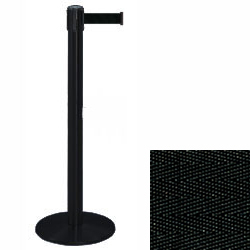 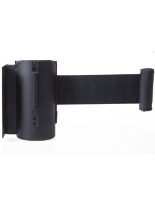 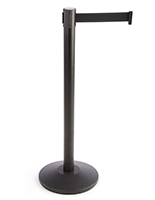 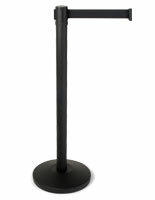 Buy black stanchion posts & belts for expert crowd control, today! 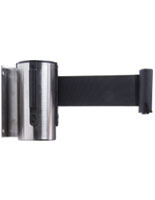 For your higher traffic areas, we recommend using Dual Belt Posts. Click to learn more about layout options, etc., at designing crowd control systems.